Spoiler Alert! 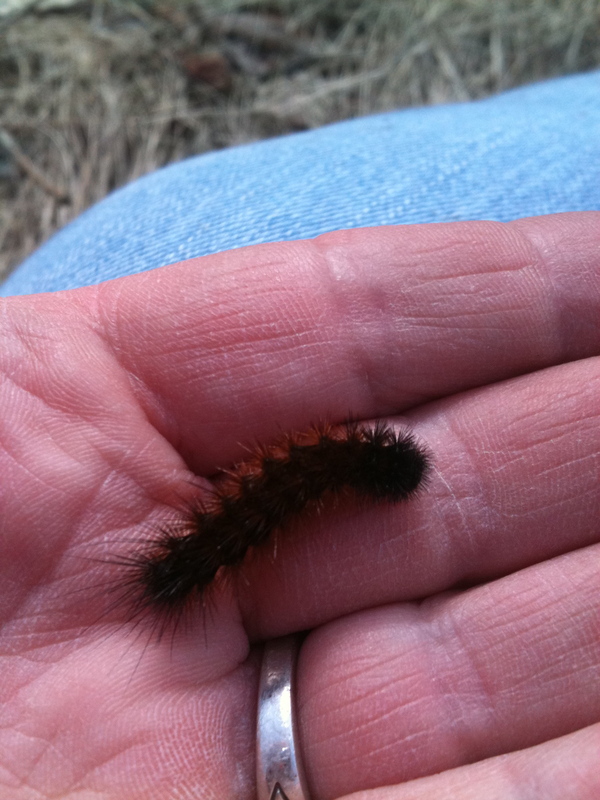 Woolly Bear caterpillars are not indicators of a hard winter to come! Children educated on the American East Coast have been misled! Rural folklore says that if the reddish-brown band around the middle of the caterpillar is narrow, a harsh winter is coming. In reality, the size of the band reflects the age of the caterpillar, with the band growing wider as the larva ages. It’s no surprise that this familiar creature has a little legend attached to it. The thing is adorable! And they are all over-in yards and pastures, crossing sidewalks, moving about in their determined, furry little way. Kids crow and coo over them. Something this cute and plentiful just has to have a sweet (albeit false) story to go with it. Another fallacy is that the woolly bear shoots venom from its hairs which can cause injury and swelling. Sometimes those bristly hairs do produce a little contact dermatitis in people with sensitive skin. Still, having observed hundreds of children pick up these hairy wanderers, I have yet to know one who got much more than a tickle. 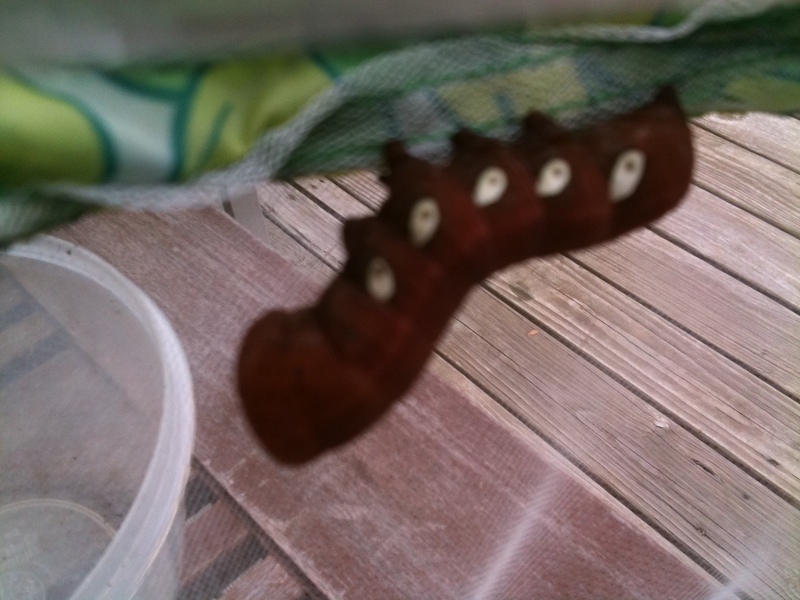 What I have seen is children joyfully “helping” the caterpillar get from one place to another. Sometimes the poor thing is sent in the wrong direction no matter how many times it tries to turn around. While a dilemma for the caterpillar, it is a terrific thing for the children, who experience the excitement and pleasure that interaction with nature brings. Anyway, there is no Woolly Bear shortage. During a short walk on a warm Fall day you can find half a dozen woollies moseying around looking for a winter shelter. Let the children redirect the caterpillar. It does more good than damage. The Woolly Bear is a moth larva as most caterpillars we find are likely to be. 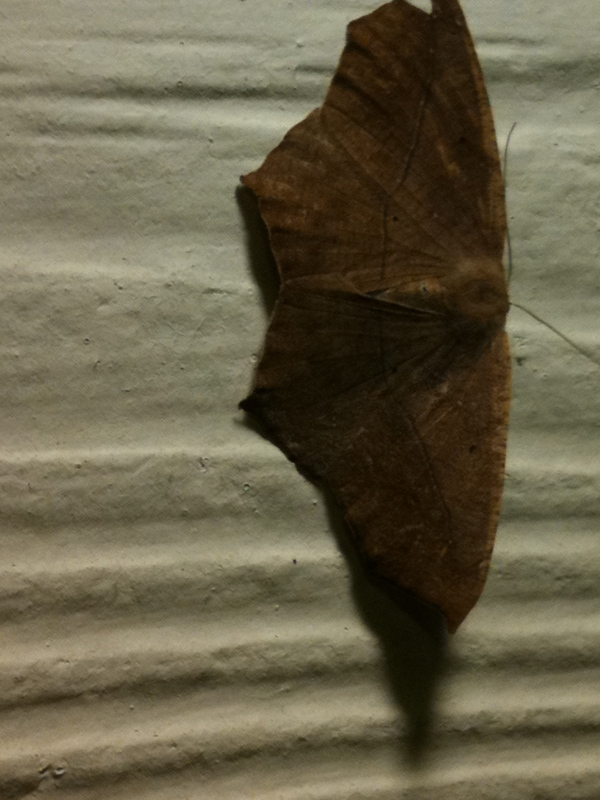 There are more moth species than butterfly, so odds are that caterpillars you see will become moths. The Woolly Bear will grow into an Isabella Tiger Moth. The Tiger moth family is diverse, and known for their pretty colors. You don’t see them often as caterpillars, with the exception of the Woolly Bear, since many are ground dwellers or even burrow into wood. To make identification more complex, many change color dramatically as they mature. The Woolly Bear may be plentiful because it will eat nearly anything including grass, dandelion and a variety of other vegetation. Becoming more active around the time of the first frosts, it pokes around for a good spot to sleep away the winter. In spring, woollies become active again, searching for a good feed before spinning a cocoon and maturing into a moth. Take a lazy walk around the meadow one day between now and the hard frost. Count how many woolly bears you find. You can even let me know by leaving a message here or in the trail log.